Mixing XXIV is the 24th in a conference series that began in 1967. Every two years since then, the mixing community meets in North America to share and discuss the latest research developments in fluid mixing. Participants come from academia, industry, and private and government research institutions in North America and all around the world. The Tutorial is designed to give conference attendees exposure to the basic concepts of mixing technology covering a wide breadth of mixing systems with emphasis on industrial applications. Practicing engineers and students relatively new to mixing operations will acquire a good understanding of the fundamental principles of mixing, the critical issues in mixing research and development, and relevant design and scale-up methodologies. Topics range from commonly practiced mixing terminologies, single and multi-phase mixing, reactive mixing, mechanical design issues, scale-up principles, and specialty mixers such as jet and static mixers. Examples will be used to illustrate the application of mixing principles where appropriate. There will be sufficient time for class discussion and questions. The tutorial will be a great refresher for those interested in mixing technology and will give newer members to the mixing community a foundation to appreciate the more advanced concepts presented throughout the conference. Who should attend? Engineers, scientists and students involved with mixing practice and who wish to acquire an in-depth and global overview of mixing processes will benefit from attending the tutorial. 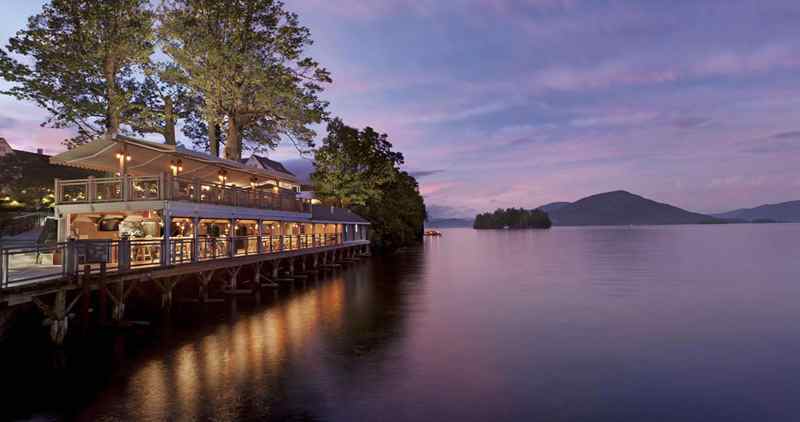 The Sagamore is an enchanting AAA Four-Diamond Lake George resort with a prestigious history that dates back to the 1880s. Secluded on a private 70-acre island just 60 miles north of Albany via Interstate 87, is a leisurely drive from most Mid-Atlantic, New England, Quebec and Ontario Province metropolitan areas, and is just a four-hour drive from New York City or Boston. 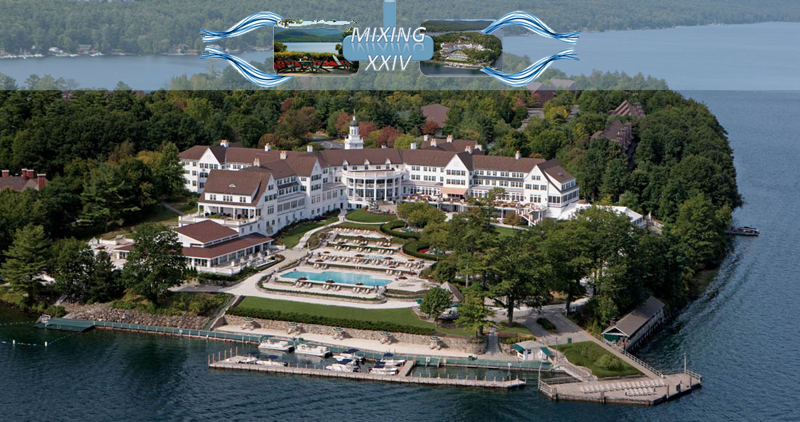 The Sagamore has hosted families, celebrities and dignitaries alike with the signature hospitality established over a century ago by Myron O. Brown. 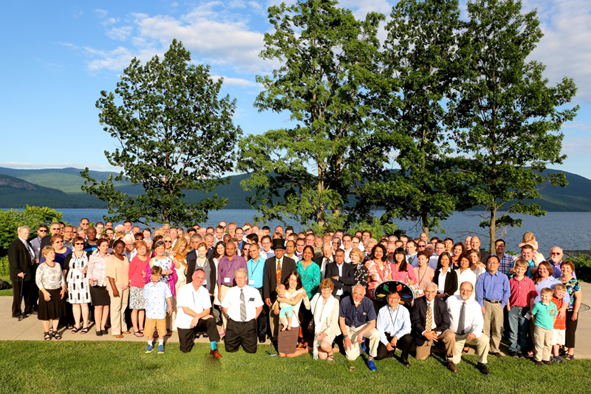 Along with an inspiring setting in the heart of the Adirondacks, our historic enclave offers elegant lakeside accommodations, award-winning dining, an 18-hole Donald Ross-designed golf course and a commitment to creating remarkable guest experiences every day. There is a free shuttle service on the Island, that can be reserved at the front desk. The distances on the island are not very long, but the shuttle may be very useful if it is raining, or you get all fancy for the Conference Dinner, or you just prefer not to walk much, this is the option to get around. The shuttle goes also to the golf course, which is not on the island.